The 2IC is the voice and hand of the leader when the leader is not there. Therefore the 2IC’s ability dictates whether or not the leader’s strategy, message and direction is diluted or magnified throughout the organisation. 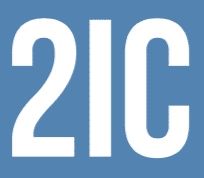 A high performing 2IC means a leader’s vision can be fulfilled; better and faster. Most importantly, the course is designed so that participants see themselves as the solution. Recognising their crucial role to skillfully use initiative to free up their leader’s time. Each component of the courses can be purchased individually, totalling $3,355 inc. gst. Or join the 2IC course including all 6 days, just $2,195 inc. gst. Note: If you can not do a date you can roll that course over to the next year.